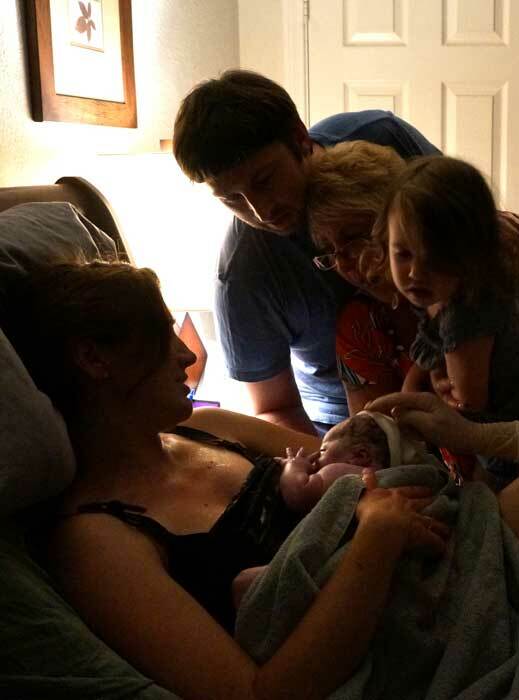 Disclaimer/Heads up – this post talks about labor and childbirth. Nothing too gross or gruesome, however, as is the nature of the childbirth experience, some semi-personal things (i.e. brief mentions of bodily fluids) will be shared. If you don’t think that this is something that you can handle, I will not be offended if you choose not to read any further. Mom braiding my hair. I didn’t yet know it was “labor day”. Mon. 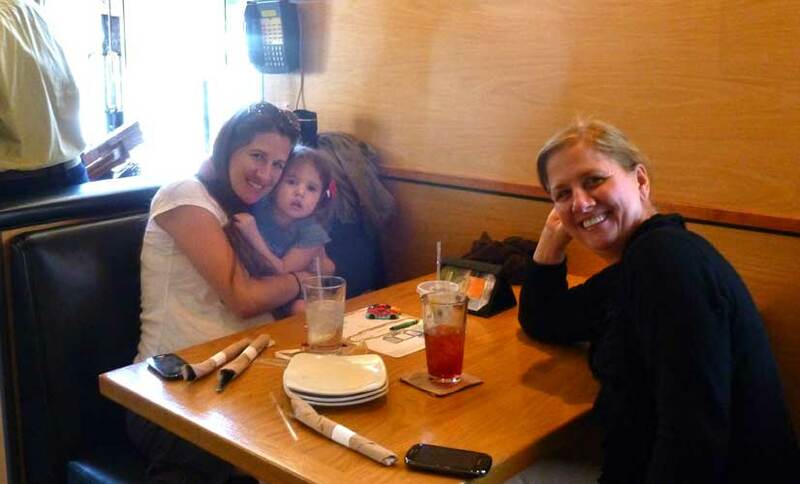 4/21 (7 days before due date) – my mom flew into town. She wanted to make sure she arrived in time for the birth and I had a strong hunch that I would be before my due date. Tues. 4/22 (6 days before due date) – Braxton Hicks contractions had been getting a bit stronger, and I was really uncomfortable, but nothing else. Wed. 4/23 (5 days before due date) – I had a midwife appointment at 1pm and had really thought that I wasn’t going to make it until then. I was a little bummed to have to keep the appointment, but I was still early so I wasn’t stressed out. She offered to do a cervical check, but I declined. Last belly shot. Taken about 9 hours before birth. 39 weeks, 3 days. 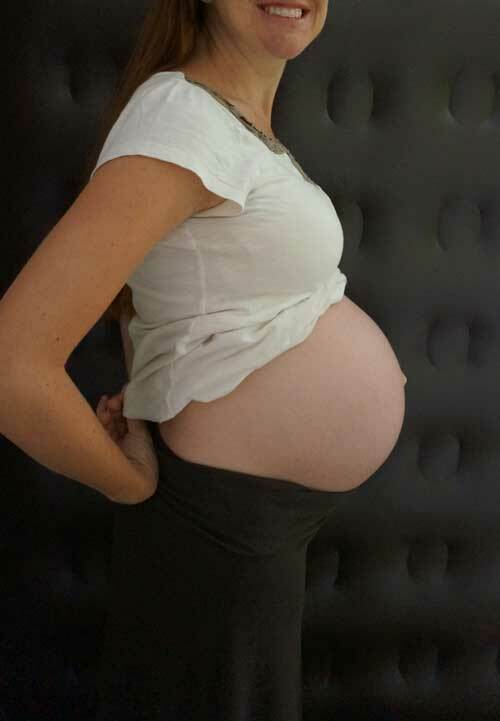 THURSDAY 4/24 (4 days before due date) – I started having some cramping/light contractions in the morning, similar to menstrual cramps or stronger Braxton Hicks, but I’d been having them for a couple days, so I assumed that they didn’t mean anything. If was my mom’s birthday the next day, 4/25, and I knew she wanted the baby to be born on her birthday. Also, I knew that most labors start early in the morning or late at night, and not during the middle of the day, so I assumed that if nothing had happened by mid-morning, that nothing was going to. Around 11:30am-ish, my mom and took my daughter to Ikea down the street to pick up a few things. While there, I kept having the stronger Braxton Hicks/cramps/contractions, so I opened up the a contraction time app on my phone and begun timing them. However, they were really sporadic, short, difficult to know when they began or ended, and I could easily talk through them as they were only mildly uncomfortable, not painful. 12:15pm-ish: We walked across the street to California Pizza Kitchen for lunch. I continued timing my contractions on my phone. While getting situated, ordering, and waiting for our food, I noticed that my past three contractions had seemed more “real”. They were 6-7 min. apart, and I could tell a definite beginning and end. At that point, I told my mom I thought this is was most likely the beginning of the real thing. She asked if we should get the meal to go, and I said, yeah, probably. I told her we should take a picture to document the occasion. We called over the waiter and my mom asked if we could get our meal to go and then asked if he could take our picture “because I was going into labor“. Eek. I wished my mom hadn’t said that last part! I DID NOT want to make a big deal of it! I knew I still had hours of labor ahead of me and that it was going to get so much worse before it got better and I was nervous. But it was kind of funny and the server got very excited and started hurrying about and brought the manager over to our table to meet us and they gave us our meal for free! So I guess, all in all, it made for an interesting story to the day, but in that moment, I was very embarrassed and felt like everyone was looking at us. It wasn’t like I was about to give birth right there in the restaurant, was everyone expecting me to start screaming in pain or my waters to suddenly break all over everyone? I don’t know…but I was thankful to get out of there. Once we got home, I got on facebook. 🙂 Contractions weren’t super regular, 6-10 min. apart, 30 sec. and I could still focus during them. I posted my first ever Throwback Thursday picture on facebook, of KP and I on the day our daughter was born. It was my subtle and sneaky way of comparing both days and “announcing” that I was in labor. KP’s mom was flying into town later that afternoon and asked if he thought he should make other plans for her to get our house or if he should still plan to drive and pick her up. I told him he should work out other plans. I did not want him to leave. TMI warning: I had a couple loose stools during this time. This was my start-of-labor indication with my daughter, so once it happened this time around, I knew there was no turning back and it.was.for.real. To be honest though, I kind of just wanted everyone to go away and have a good cry. Unlike my first labor, I knew what I was getting into this time, and how much hard work labor is, and while there was a lot of excitement to everything, I was also just really nervous and wanted to cry it out. Labor, especially when you go without drugs, is an extremely personal experience. No one else can do it for you. It is a burden placed ENTIRELY on the laboring mother, and even though you may have cheerleaders and helpers, YOU are the only one going through it and even when you just want to give up and quit, you can’t. You have to push through. 2:45pm-ish: Contractions suddenly sped up to 3min. apart, 30 seconds each. I could barely talk through them. We decided to call the midwife around 3:30pm and just let her know what was going on. She said that she’d head over soon. 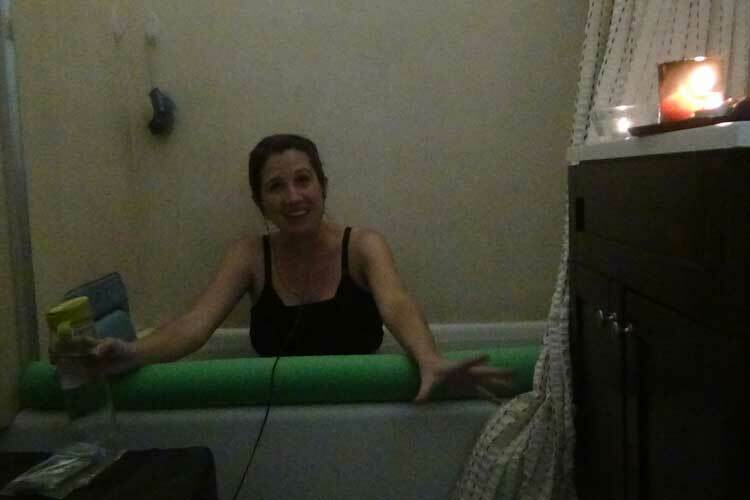 I got in the tub for a little bit and contractions slowed to 4-5min. apart. I had chosen an hour-long track of waves crashing on shore and I played it on repeat. I remember thinking that labor was doable at that point still…and that I really wished that it could just stay like that and not get any harder. 4:15-4:30pm-ish: The midwife arrived and checked me. I was only a 3! I was a bit disappointed and annoyed, as a 3 isn’t even considered “active” labor yet. Women can walk around for weeks at a 3 and not even know it. 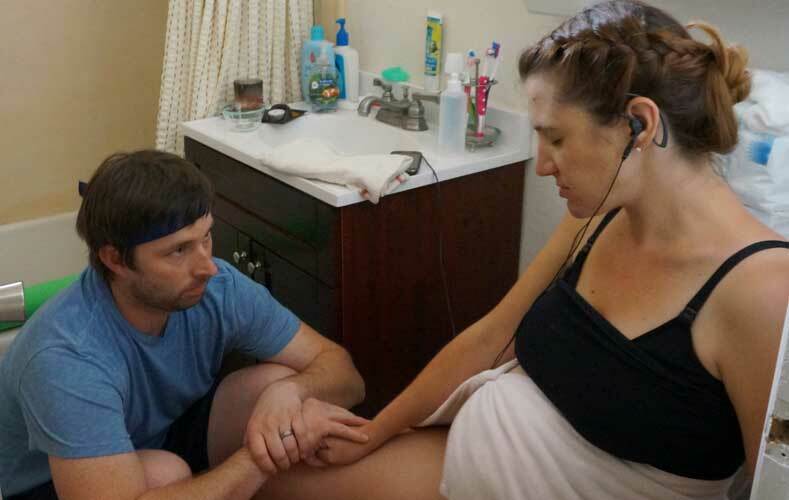 My contractions felt a lot more intense than I remember early labor being with my daughter. Ok, so maybe I don’t want to do this anymore. At this point, I start getting a little cranky (which would carry over to the rest of labor). I didn’t really want to do labor again in the first place. And here I was, only a 3? So much for second labors going quicker, I thought. I figured I still had hours and hours and hours to go. I was a bit irritated…but I also just wanted to dive in and get it all over with. The midwife said that my cervix was still quite posterior and she encouraged me to do whatever I needed to do in order to “make myself uncomfortable” whether that be walking or swaying or whatever, in order to help labor progress. She said she was going to head to Sears down the street to run some errands and would be back at 6:30pm. Even though I knew it was the opposite of “make myself uncomfortable”, I got back into the tub for a few minutes, but I didn’t find it relaxing. So I got out, and stood at the bathroom counter instead. Swaying my hips through intense contractions. I should note that I’m incredibly quiet during contractions and don’t yell or make any noise other than breathing out. 5-6pm-ish: In the next hour or so, things progressed rather quickly. Contractions got to about 1 min apart, lasting for 1 min. I spent most of that time in the bathroom, leaning over the counter and swaying my hips through each contraction. I just wanted to stand up and sway. Which was very different than my first labor. With my daughter, I sat still during contractions and patiently endured them. But this time, I wanted to get up. I wanted to lean forward over something and I wanted to kind of sway/dance my hips through the contractions. I didn’t just patiently endure the waves of pressure. The best way to explain it is that I just I “gave in” to them. I let my body feel them and experience them. I definitely didn’t enjoy them and they were still very unpleasant sensations of pressure in my hips and pelvis…but somehow, they also didn’t feel as “painful” as they were with my daughter. 6pm: Since my contractions were right on top of each other, KP (or maybe it was my mom?) called the midwife back, who said that her assistant was right around the corner and that she’d also be back very soon. 6:15pm: The midwife arrived. I thought FOR SURE I’d be almost complete or even close to pushing, as the last hour had been intense and I thought was probably transition. Oh, and not to mention that the contraction app timer on my phone – which I’d still been using to time contractions – had been giving me a very annoying beeping alarm at every contraction for the past half hour telling me I was likely in transition (and to call the doctor asap). So when the midwife checked me and I was only a 7, I got really, REALLY discouraged. I was only JUST NOW entering transition, the hardest part of all, and I was already so over being in labor and I just did not want to keep going. Apparently the midwife also told me that she was really surprised and impressed that I’d gone from a 3 to a 7 in only an hour and a half and that transition was often the quickest part and that things would probably be over soon. But I was so stuck on the measly number 7 that I didn’t pay attention to hardly anything else she said. 🙂 The only other thing I remember her saying is that sitting on the toilet might help me open me up more if I wanted to try. I was willing to try absolutely anything that might get me finished with labor sooner, so on to the toilet I went. See Related Post: Me as a Mother (and as a Person) in a Nutshell. KP sitting with me during contractions. 7pm: It felt like I had only been sitting on the toilet for a few minutes when the midwife came over to check me again. Much to my shock, she said that I was a 9.75, but that the last quarter cm would open as I was pushing if I wanted to start moving into position to push now. Sure as heck I did! So we moved to the bed and the midwife (and her assistant) began putting down lots and lots of chux pads all around me to prepare for birth. I ended up with some decent tears and about a dozen stitches. It was fine and it overall didn’t taint my childbirth experience, but it did make my recovery a lot harder. So this time, my much more experienced midwife had me lie propped up on my side to push, with one leg up in the air, and used a warm compress with counter pressure to hopefully minimize tearing. 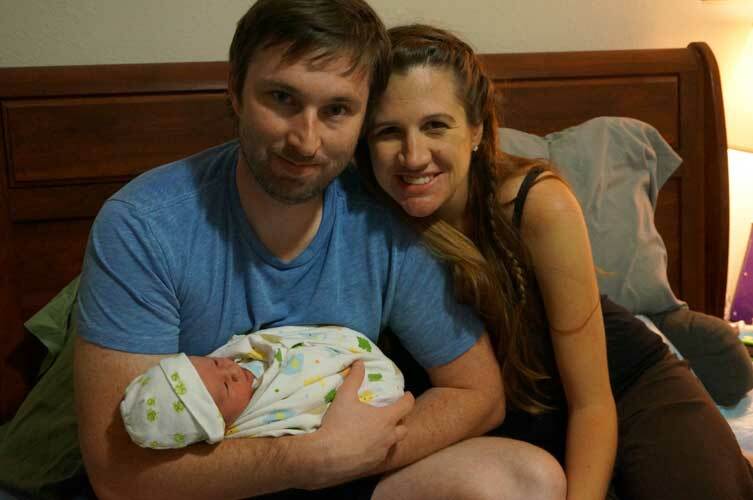 I really like sharing my birth story, but I’m not a fan of OVER-SHARING my birth story. I almost didn’t post this picture; I hope it’s not too inappropriate. Pushing was a lot harder this time around though, and I felt like I was going to split myself in two! But I kept pushing with all my might at each contraction, as gosh darn it, I just wanted that dang baby out and for labor to be over with! I had totally forgotten about it, but my waters had still not broken yet. The midwife mentioned that she could feel my water bag bulging and it was the main thing in the way of me delivering. She said not to worry about it though, as it may not break until birth itself, or even that the baby could be born en caul (which means that the baby is born still inside the bag of waters; it’s uncommon and supposed to symbolize good luck or something). I kind of thought that’d be cool and didn’t think about it again. The midwife said she could see the baby’s hair. I got really excited that he had hair – my daughter didn’t have any and it made me feel as though he was right there and really would be coming out soon. At the end of the next very strong push, the head came out. I had previously told KP that I’d like to be able to feel the baby’s head during birth and so he took my hand and put it on the baby’s head so I could feel it. I know that probably sounds gross to some, but this was my second birth, I wasn’t as squeamish and I was intrigued. It was cool to feel the head, even though it was only for a very, very brief moment. He’s here! And he’s perfect! I don’t remember having another contraction to push out the shoulders, or if he just slid out, but all I remember next is the midwife telling me to reach down and pick up my baby. A quick exam and the midwife told me I had NO TEARS! Considering how many stitches I had with my daughter this was amazing news! I felt so great after the birth and was up on my feet again almost immediately. 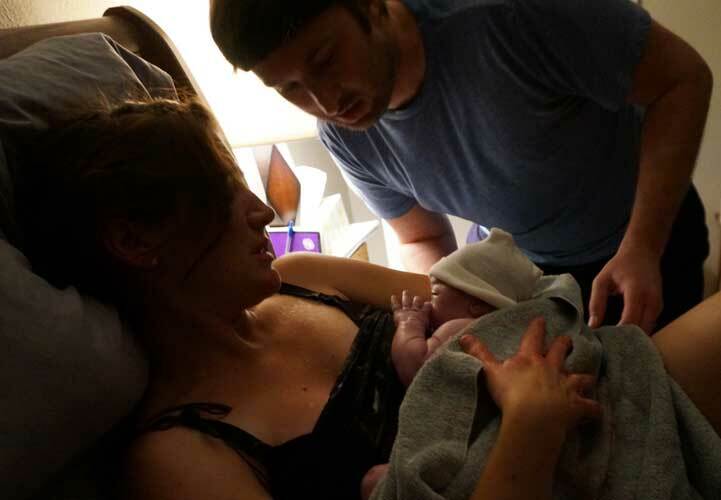 I had no idea you could feel that good after a birth; with my first, I didn’t know any better than to accept the pain of tearing/stitches as normal. Big Sister C meeting her baby brother for the first time. 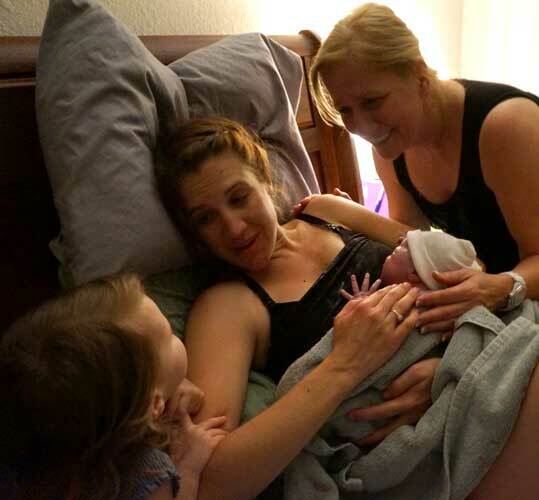 That’s KP’s mom holding her; she made it in time and was watching her in the other room during the birth. My mom, my daughter, and my son. The next several days were a flutter of excitement. Both of our moms were out and had a fun time spoiling us. 🙂 So far, this transition from 1-2 has been much easier than from 0-1. « L.A. Kids Consignment Sale Adventure #2! 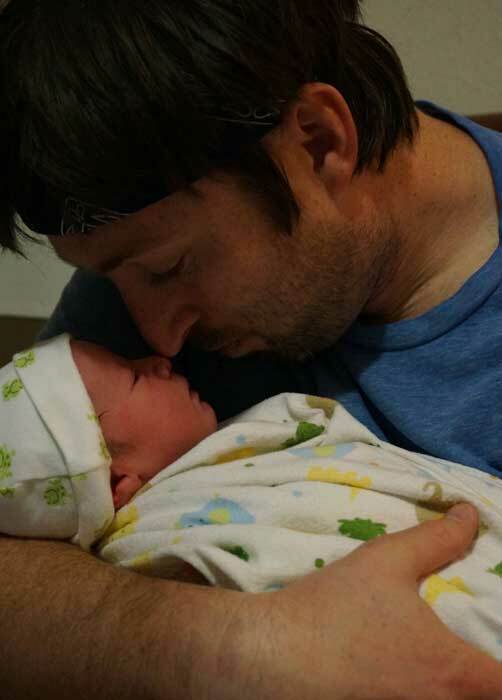 I love that you shared your birth story and was completely honest with your feeling. I remember being in labor with my second and although I had the epidural it didn’t work. My luck!! When I had pushed her out I yelled, not realizing it was actually out loud, OH THANK GOD SHE IS OUT!!! I’m done in done!! When I heard every laughing I was rather embarrassed cause that was my baby and all I could say was thank god she is out?? Lol!!! I loved your birth story!! You are truly amazing!! I loved reading this!! That “action shot” is amazing. Thank you for sharing it! And I agree: 1-2 is so much easier than 0-1. Beautiful story, and great pictures!!! Love you girl 🙂 it has always been amazing to me how something so painful, could be so beautiful. He is more than perfect in every way.